Eight student respondents to a tribunal on Dec. 2 will receive a letter of reprimand for disrupting a political science class earlier this year under a strike mandate. The tribunal panel wrote that although the strikes did violate the code of conduct by disrupting university activities, strikers believed there was a mutual understanding the university would not charge them under the code. After initial complaints were made to Concordia’s Office of Rights and Responsibilities, the university joined the three professors as co-complainants against about 24 students for disrupting university activity. The university has said this was done so it could share information from Campus Security and support its faculty in the process. “I think the university still needs to make a statement about why they chose to charge students after promising them that they wouldn’t,” said Katie Nelson, one of the eight students at the Dec. 2 tribunal. According to student politicians, the university said it would not press charges as long as strikes did not compromise safety. The panel wrote in its statement that no one at the tribunal contradicted this argument, and was surprised to see the university act as a co-complainant. She added that the university was not clear about its intentions in discussions held before the spring student strikes, and that the tribunal process was abusive. Nelson also said she is looking into potential legal action to prevent future hearings, including the two tribunals that have yet to be scheduled. Since the tribunal decisions are considered confidential, Nelson said future tribunals for the remaining students won’t be able to reference this judgement and could face harsher consequences. “It’s problematic, because it doesn’t keep decisions as controversial or as contentious as this consistent throughout the university,” she said. Concordia students from the various associations, including the undergraduate student union and fine arts student association, shared campaign posters Wednesday night reacting to the verdict and warning Concordia that action will be taken to stop future tribunals. The campaign, called Concordia Against Tribunals—playfully abbreviated to CATs and featuring a black cat mascot—will officially launch in January according to Marion Miller, the Academic and Advocacy Coordinator for the Concordia Student Union. Miller says having a charter of student rights like McGill, Bishop’s and UQAM could clarify what actions can be taken by student unions. “When workers of Concordia [part-time faculty or full-time faculty] go on strike, they don’t get charged under 29G,” Miller said, referring to the article in the Code of Rights and Responsibilities used in the disruption complaints. 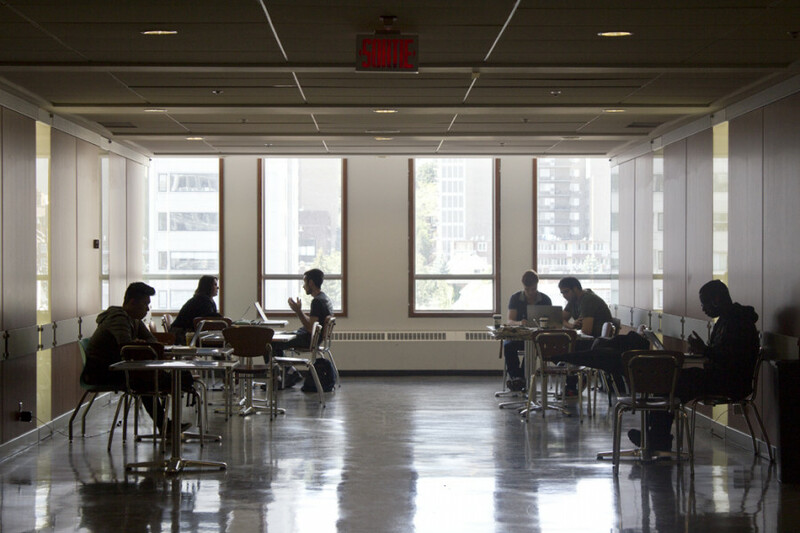 Four of the students facing charges, including Miller, are on Concordia’s Senate, the highest academic body of the university. All 12 undergraduate senators skipped a 5 à 7 cocktail at President Alan Shepard’s house in Westmount this past Monday, according to Miller. Instead, the students sent a letter explaining their absence from the event, as they were waiting to hear back from the tribunal panel.